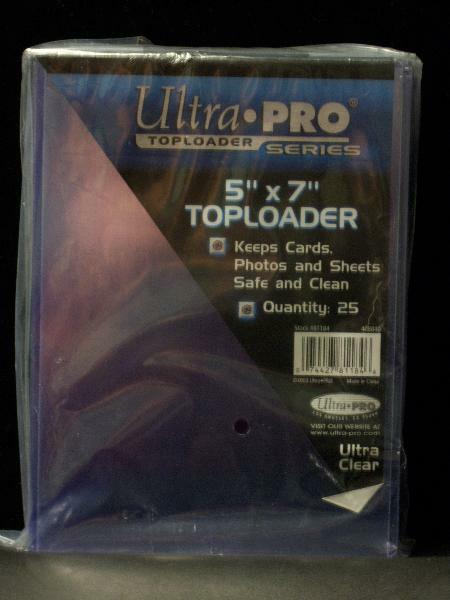 Kevin Savage Cards is selling a pack of Ultra Pro Top-Load 5x7" Holders. Each pack contains 25 holders. The holders open from the 5" side!